Nihon Keizai Shimbun (Japan Economic Times), one of the most respected economics newspaper in Japan, recently published a column from an otaku who claims (without source) that in Japan over 1 million men are obsessed with Neon Genesis Evangelion’s Rei Ayanami. 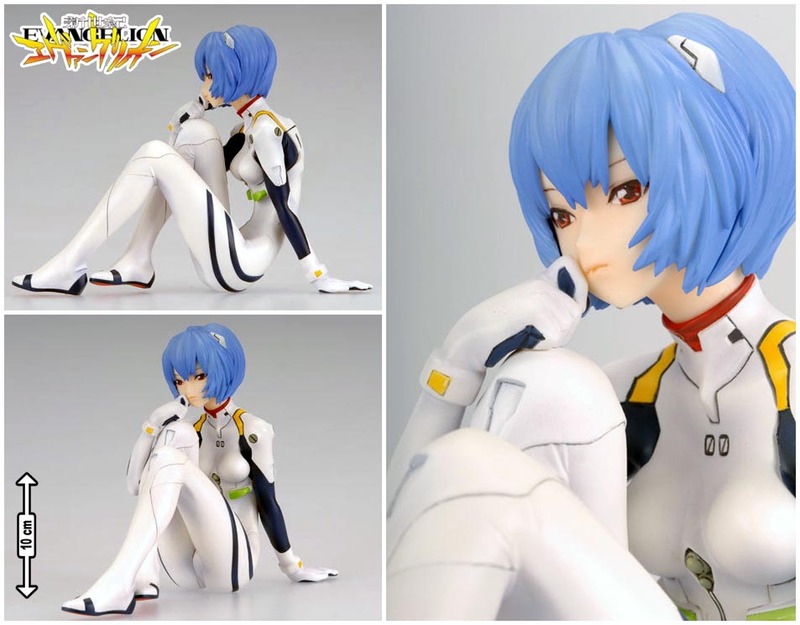 I believe there are at least one million men in Japan who love Rei Ayanami. She is an icy, quiet, unemotional 14 years old girl. This bandaged Goddess is an icon of Japanese anime. She has a decisive mind inside her fragile appearance…. I heard from an anime figurine expert that most of the collectors of Rei are in their 30’s and early 40’s. Virtual worlds created by anime and the internet have a mysterious power that appeals to a deep corner of our minds. During the days when Rei “descended to Earth,” Japan was in the middle of a recession, and most people were caught in a mental depression. Sympathy for this wounded, quiet, decisive robot pilot came from such times. The anime figurines were an icon of a “subconscious religion.” Now the Japanese economy has been restored, but have people’s minds been restored? More seriously: in the Eastern Orthodox tradition, icons are meant to be “windows into heaven,” a means to look through the picture to what it represents. The same is true of statues and crosses in Roman Catholicism. The otaku asks an interesting question: just what is it that an otaku sees beyond the plasmo? What is so comforting about it, and does it mean that the mental damage from the “lost decade” of the 1990s is far from over? She seems to have a symbolic quality beyond herself, perhaps externalizing the interior damage many people continue to feel. It makes me think of the Atlantic article where Anno was interviewed, specifically about Rei too. Bah, I’ve always been more of a Misato fan anyway. You’ve gotta respect a woman who has beer for breakfast…and yes, I will be listing my religion as ‘jedi’ at the next census. Just for the lulz. In all seriousness though, if NGE was a reflection of a culture itself inspired by movies and TV…the ad infinitum back and forth ‘art imitates life/life imitates art’ idea is beginning to make my brain hurt. The idea of a childlike society was interesting too – there’s the nanny state thing that’s always in the news in my nek of the woods, plus the times I’ve seen footie fans in the pub in tears when England crash out of an international tournament. It all does make me think we’re a nation of kids too. Stop blubbering and wishing it was 1966 again, okay? @DrmChsr0 – makes sense. :) Though, for this otaku, it was Shinji’s appallingly accurate depiction of the withdrawn and depressed mind that drew me in to Eva and anime in general. But Rei is a good way to externalize that in a more physically attractive, um, package.